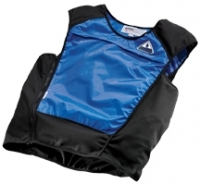 The Women’s Cooling Vest use evaporative cooling to keep you cool. 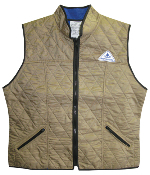 In our dry climate, the moisture and cooling is a big help. 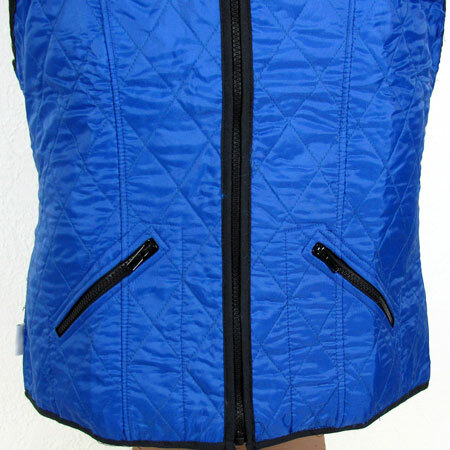 This cool vest has a high collar, which keeps you cooler. 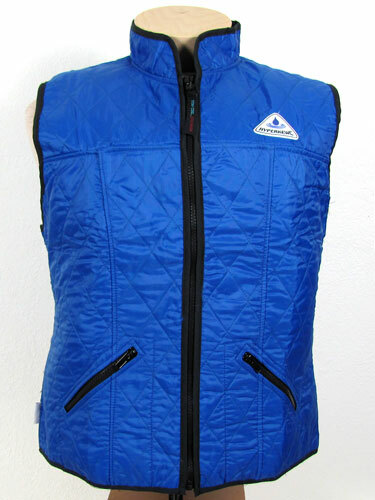 This model is sized just for women. They have a nice shape. 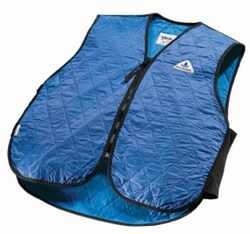 HyperKewl 6530F Deluxe Sport Women’s Cooling Vest. All the size/color combos on the pull-down options list we have in stock. Most ship by the next business day. 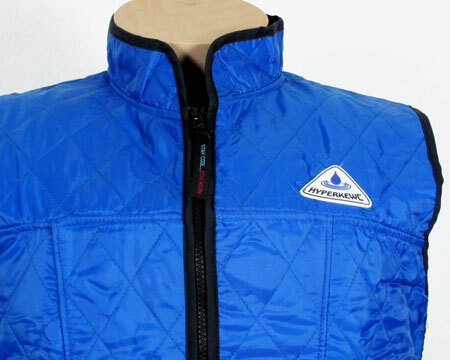 * Recharge for more hours of cooling in a flash! 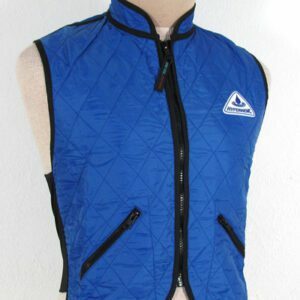 To see an overview page on Cooling Vests on our main site, click on: Cool Vests.